I can remember exactly where I was when I discovered the amazing scent of Apple Jack and Peel. I was standing in J C Penney and I had picked up a package of potpourri scented with this amazing primitive scent. I immediately fell in love with the it. To this day it remains my very favorite - no matter the season. Apple Jack 'n Peel a classic primitive scent with multi-layered notes of fresh apples with a top note of rich spices and a hint of tangy orange. 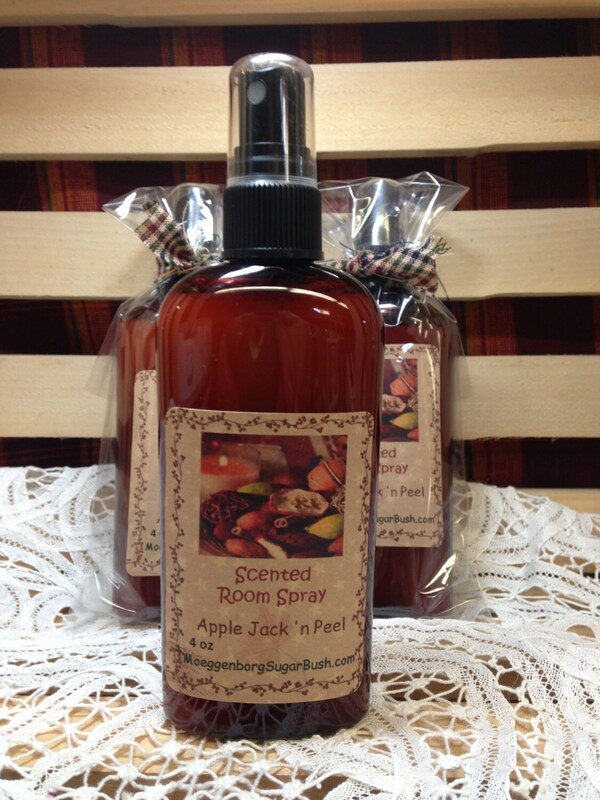 Our room sprays are made with the same scents that we use in our candles. They are very highly scented. 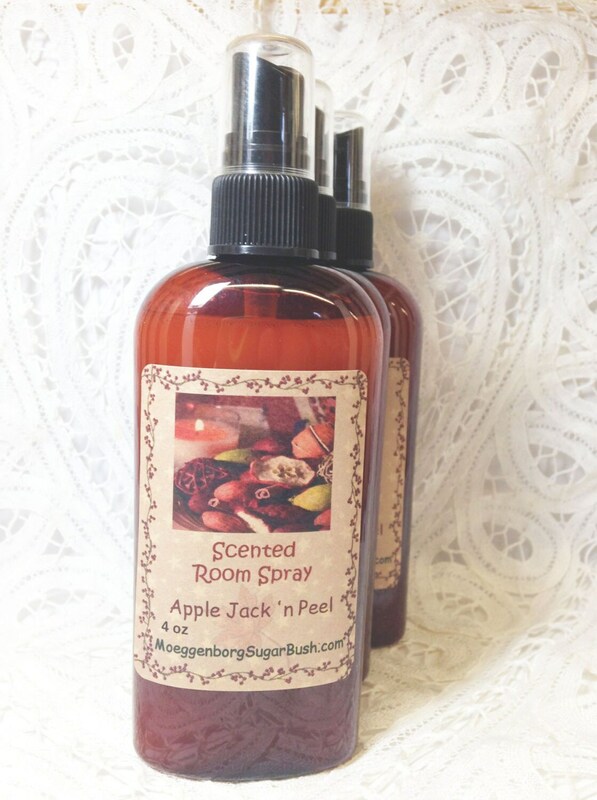 A couple of sprays will scent your room for 30-60 minutes depending on the scent. They are non-alcohol and non aerosol.